Singer-songwriter Peter Gabriel contributes songs to Gaza aid album, says he against "injustice and occupation". 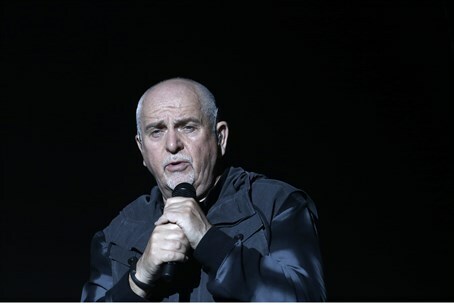 Singer-songwriter Peter Gabriel says he is not anti-Israel, but that he is “against occupation”. Gabriel, who originally rose to fame with the band Genesis, contributed songs to a new compilation album titled "2 Unite All", proceeds from which go to humanitarian organizations aiding Palestinian Arabs in Gaza, reports i24news. "I am certain that Israelis and Palestinians will both benefit from a two-state solution based on the 1967 borders," Gabriel said in a statement quoted by i24news. "We have watched Palestinians suffer for too long, especially in Gaza." He added, "I am not, and never was, anti-Israeli or anti-Semitic, but I oppose the policy of the Israeli government, oppose injustice and oppose the occupation... I am proud to be one of the voices asking the Israeli government: 'Where is the two-state solution that you wanted so much?' and clearly say that enough is enough." i24news noted that other musicians featured on the album include politically outspoken alternative metal musician Serj Tankian, most famous for his work as frontman of System of a Down, who contributed a song titled "Spinning Mysteries at the Sacred Grove", which features Police drummer Steward Copeland. The album also features former The Cure guitarist Porl Thompson and Def Leppard drummer, Rick Allen, known for continuing to play drums despite losing one of his arms in an automobile accident. Several musicians in recent years have expressed their support for Palestinian Arabs while expressing anti-Israel sentiments. On the flip side, many musicians have ignored calls by pro-Palestinian groups to cancel concerts in Israel and have expressed their support of the Jewish state. Last year, popular rhythm and blues artist Alicia Keys refused to cave in to pressure by anti-Israel activists and gave a sold out concert in Tel Aviv. Keys announced that she had decided to go ahead with her concert in Tel Aviv despite calls from a number of anti-Israel activists to boycott the Jewish state. The pop duo Pet Shop Boys also rejected calls from pro-Arab activists to cancel a Tel Aviv concert. The concert went ahead as scheduled on June 23 of last year.